February 1992 - Julian plants trees and performs Saltwater at Kincoppal Rose Bay School in Sydney, Australia during the launching of Green Youth Action a youth campaign arm of the Australian Conservation Foundation. 9 February 1992 - Saltwater is #5 on the Australian singles charts. 16 February 1992- Saltwater is #4 on the Australian singles charts. 21 February 1992 - Saltwater is #2 on the Australian singles charts. 1 March 1992 - Saltwater is #2 on the Australian singles charts. 8 March 1992 - Saltwater is #1 on the Australian singles charts. 15 March 1992 - Saltwater is #1 on the Australian singles charts. 22 March 1992 - Saltwater is #1 on the Australian singles charts. 29 March 1992 - Saltwater is #1 on the Australian singles charts and #4 on the video charts. 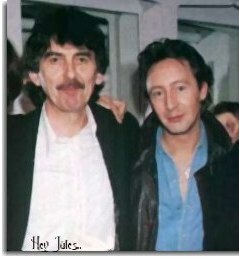 6 April 1992 - Julian attends George Harrison's concert for the Natural Law Party at the Royal Albert Hall. 12 June 1992 - Julian and Justin perform at the opening of the HMV in Tokyo Japan. 18 June 1992 - Julian and Justin attend the Genesis concert in Los Angeles. 19 June 1992 - ABC airs an In Concert on Julian. 5 September 1992 - Julian performs at the LA Home Aid Concert at the Los Angles Sports Arena.